For the last few years if you wanted the ultimate contact lens for all day comfort, you've probably been wearing Dailies Total 1. There have been several new lenses to launch since then, but in my opinion none of them came close to competing with Dailies Total 1... until now. 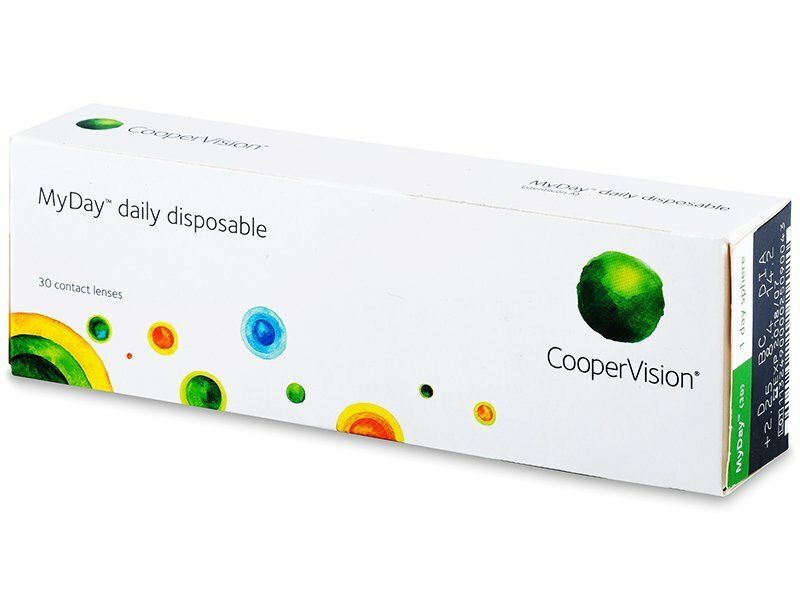 CooperVision's new MyDay daily disposable lens offers fantastic comfort and clarity, and will definitely become an active competitor to Dailies Total 1's current spot on the top of the contact lens heap. MyDay is a silicon hydrogel daily disposable lens, meaning it has higher oxygen transmissibility than many other daily disposable lenses on the market. This is a great health point for people with previous history of eye infections or corneal neovascularization or scarring from prior contact lens issues. The health benefits of this higher breathability puts this lens in a top lens safety category with Dailies Total 1 and Acuvue TruEye. The lens material itself is incredibly thin and lubricious -- when placed on your eye it truly does have that "I don't feel like I'm wearing contact lenses" feel. 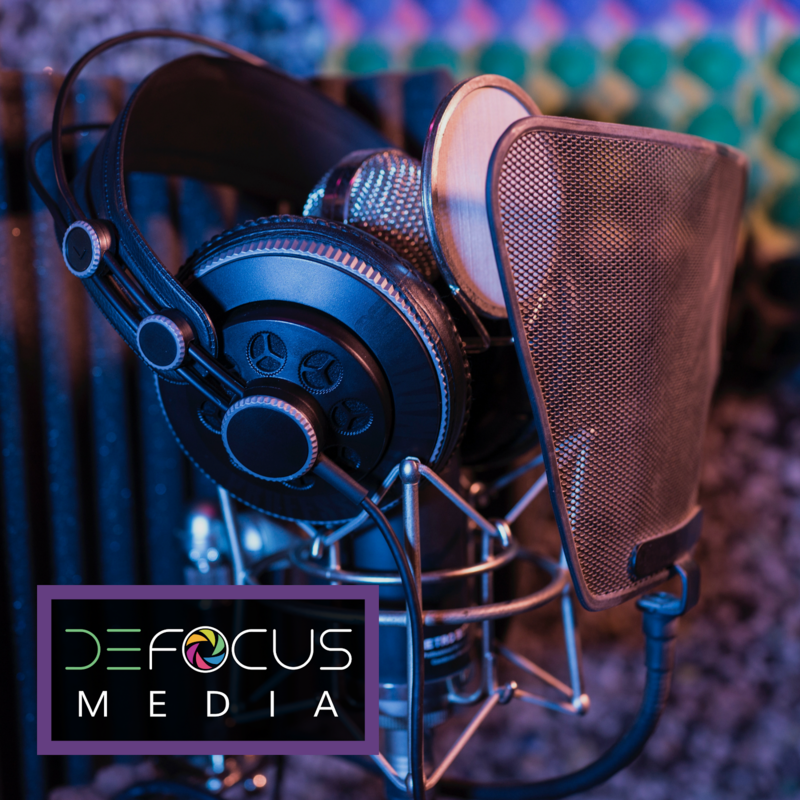 Head to head this lens fits very similar to Dailies Total 1 with a steeper base curve and typically very little movement on the eye with blink (creating excellent comfort). A big pro for MyDay is that it is available in plus powers; Dailies Total 1 is still currently only available in -0.50 to -10.00. Another real advantage to MyDay is its' aspheric optic design, meaning that the lens corrects for the average cornea's "higher order" aberrations -- irregularities that bend and bounce light, disrupting the crispness and clarity of your vision. Corneas with low amounts of astigmatism or corneal irregularity could potentially achieve better vision in a lens with aspheric optics. Update: I wore this night driving recently on a dimly lit highway and was really impressed with the quality of my vision compared to my other two favorite contact lenses for comfort, Dailies Total 1 and Acuvue 1 Day Moist. Just remember, aspheric optical designs can give better vision to some by adjusting for the normal light bouncing aberrations coming off an average cornea , but if your cornea is not average, then it may not give you noticeable vision changes. If you read my rave reviews about Dailies Total 1 back in 2013, you know what a big fan I am. I honestly didn't think that my contact lens wearing experience would be matched by any new product. But in my personal wearing experience, MyDay was at least as good on comfort, and just a little better on clarity than Dailies Total 1. The lens stayed comfortable well into my 16 hours of wear, and I never had to use moisturizing drops or manipulate the lens under my eyelids to rehydrate. I found the lens material to feel very similar to Dailies Total 1, so if you are someone who had difficulty with removing Dailies Total 1 lenses, it is possible that you may have the same experience with MyDay. Both of these lenses have low modulus materials (meaning they are very flexible and bend to the shape they are touching) and very high lubricity -- your fingers will glide right over them if they are wet when you try to remove the lens. You also won't be able to easily slide the lens around on your eye -- your fingers are more likely to slide on the lens surface than you are to move the lens around without the proper amount of force. If you are having difficulty with removal it is best to let your doctor know so they can help teach you the proper technique for removing these more "slippery" lenses. The real pro to this more lubricious lens texture is that on your eye, your eyelids will glide right over the lens surface too, meaning that you will have that fantastic "am I wearing a contact lens??" feeling. I tried to think of at least one potential con about the lens, and the only thing that really comes to mind is that the handling tint is really faint. It will be a challenge to see the edges of this lens (especially if you have a high prescription!) to determine if the lens is inside out, and it will be hard to spot this lens if you drop it by mistake. Because of the very low material modulus, the lens should properly fit a variety of corneal curvatures despite the steeper base curve. Lower modulus materials drape and form easily to surrounding surfaces, meaning that even though the lens comes in only one base curve and diameter, it can potentially properly fit many different corneal shapes and curvatures. Your doctor will carefully assess to make sure this lens is a proper fit for your cornea during your contact lens evaluation. Have you tried MyDay yet? I'd love to hear your opinions and thoughts about this exciting new product! I am not affiliated with CooperVision in any way, and this is not a sponsored post. All opinions provided are from my own personal wearing experience. It is nice to see MyDay making its way out of Europe. The U.S. finally has a contact lens that is similar to DT1 that is available in plus powers. Unfortunately, this particular lens still maxes out at +6.00 like most others. I was hoping when Cooper decided to distribute this product to other markets, the range would expand to +8.00 through -12.00. Few contacts are available in high plus powers. There are lenses that range to +8.00, such as Oasys, Avaira, Biofinity, Proclear, Proclear 1-Day, and Clariti 1-Day. The Oasys design is spherical and produces higher-order aberrations that are quite noticeable in high plus. Proclear and Proclear 1-Day are produced in old material, resulting in little to no oxygen transmissibility in high powers. This leaves only three good choices: Avaira, Biofinity, and Clariti 1-Day. Given that all three of the aforementioned lenses are owned by CooperVision, I was optimistic that MyDay would be produced in high plus powers, too. Plus powers over +8.00 are almost non-existent outside of custom manufactured SCLs and RGP. Only Biofinity XR and Proclear are mass produced in powers over +8.00 in soft lenses. The latter providing the cornea with almost no oxygen. Thankfully, Biofinity XR is tolerable enough to wear most of the day. It is interesting to note that when examining all mass produced SCLs, the predominant range is between +6.00 through -10.00 and +6.00 through -12.00. Given vertex distance, the latter powers transform, respectively, into +5.50 through -14.00. Myopes reap the benefits of lenses that, on average, range almost 3x times higher than what is provided to hyperopes. Through the combined use of phakic IOLs and laser-based refractive surgery, myopia is reliably correctable to upwards of -30.00. Contact lenses, vertex adjusted, are always available to -12.00 or -14.00. Diopter for diopter, optical quality in glasses is worse with plus powers than in minus. Contact lenses are the only option for tolerable vision in high hyperopia. So why are they never available? I could easily expand this post to more thoroughly discuss refractive surgery and optics, but I would like to stay on topic. The point I am trying to make is this: Individuals with high plus, such as me, need corrective lenses to function just like individuals with high minus. Unfortunately, lens availability is dictated based on numbers, and statistically, only 1-2% of the population has such high refractive errors. With that in mind, I will continue to use Biofinity XR until such time that an alternative might become available. Thanks for your comments. High Rx hyperopes are definitely an underserved contact lens wearing population, as are those with oblique axis or higher astigmatism amounts. Hopefully if a new lens like this is really successful we will see broader available parameters, just like what happened with Biofinity XR -- the lens material was introduced around 2007 but XR power ranges were just available as of a year or two ago. Barring other eye conditions, oblique and high astigmatism pertaining to myopia are almost always correctable with refractive surgery. Even astigmatism due to keratoconous can sometimes be corrected with phakic IOLs. While these myopic individuals may be underserved in the contact lens market, they do have alternative options at their disposal. Whether these options are exercised is entirely up to the individual. This is not the case as astigmatism pertains to hyperopia. I do not tolerate thick contact lenses well. I do not tolerate thick, heavy, and aberration inducing glasses well. I am not a candidate for laser based refractive surgery. I am not a candidate for phakic IOLs. I am not a good candidate for pseudophakic IOLs. Most myopic individuals, including those with astigmatism, have no idea how fortunate they are. Contact lenses are a small drop in the bucket compared to the myriad of eye conditions that affect individuals with high hyperopia. Would you happen to know the differences between the MyDay versus the Clariti 1 Day?. I'm currently wearing the MyDay which I love but I recently went to another eye doctor and she suggested the clarity but if its basically the same lens more or less, I wouldn't spend money to get more boxes. I'm really interested to know if you feel one has better visual acuity, sharpness than the other?. Thanks very much!!! Hi! Both lenses are made by the same company (CooperVision) but the MyDay lens is the more premium product. It has a lower silicone content and better moisturization polymers to combat lens dryness as compared to the Clariti lens. Some people have better vision with a more hydrated lens, but typically I would expect you to see similarly out of both lenses unless you have issues with dry eye. On a personal note, I found MyDay to be significantly more comfortable than Clariti, but not everyone will like the same contact lenses. I have kcs (severe dry eye) and have been off contact lenses for a few months. My eyes have gotten a lot better and I want to try to wear contact lenses a few days a week. Would the Clariti or Myday work better for me? MyDay for sure in my opinion. The Clariti 1-Day lens has a very high modulus/ firm texture that means more lens awareness for most wearers. I find the MyDay lens infinitely more comfortable! I use Total 1 and i'm happy with them although I have severe dry eyes and sometimes after long hours i have to remove them. Are these better than Total 1? What other daily lenses could I try? Thanks. Dailies Total 1, MyDay, and Acuvue Oasys 1 Day are the 3 best lenses for dry eye on the market. Some people prefer one versus the other but I find them all equally comfortable. I was prescribed Dailies Total 1 by an optometrist 2 years ago . I have difficulty working on my macbook with them and also I have got blurry vision reading or using the phone. The reason my doctor told me was that I've got dry eyes. Is shifting to My Day worth it? The DIA and BC of Dailies 1 are slightly different than these. Do they fit exactly the same? MyDay has aspheric optics which can provide better vision with your computer use potentially. The material and curvature are also different from Dailies Total 1. You may need dry eye treatment and a regimen of blink training exercises to get you comfortable and clear in lenses though based on your description. Costco has just introduced Premium Daily Disposable Contact Lenses under their Kirkland Signature brand. Material, water content, and manufacturer seem to indicate that these are white label MyDay lenses. Can you confirm? Do you know anything about these lenses? Would you recommend them? These are MyDay - confirmed with a CooperVision representative. I personally find MyDay to be very comfortable but like all lenses they may not fit or be a good chemistry match for everyone. Trying both Myday and total dailies this week....was using Clariti before and fit was ok but a lot of quality issues. Was a bit concerned to try myday but figure it may have been a fluke of a bad lot! So far they both feel good. Not sure how to choose! Hi Dr. L - I am using these lenses on a trial basis. How do I determine if the lens is inside out? I have looked online, and tried to do the taco test, and tried to see if the edges curve out etc and don't see anything. Do you know of a foolproof way to tell if these lenses are inside out? Does it matter if they are inside out? Thanks in advance for your help! You are using all the right methods already. If the lenses are inside out, they just won't be as comfortable, will move around more, and vision will be less stable. If you put the lens in and it feels like it is moving around a lot, it's inside out. Sorry, this text is a little bit old but I'd like to know if you still remember if these lenses have the typical visibility tint. You know, this light blue or green tint which the lenses have in order to ease the manipulation. In a web I have seen that this lenses are 100% transparent. I have never tried this kind of lens. I am not English, but I hope you understand what I have written. Hello! They have just a faint blue tint --- but it's really faint. You can only see it at the eye of the lens. And do you know if there are lenses without any visibility tint? I mean, 100% transparent. It sounds weird, but even light tint gets my eyes a bit darker so I don't like it. When you say faint blue do you mean like the other lenses or less blue than usual? All manufacturers say that lenses have light blue tint. I guess you have tried hundreds of different lenses so maybe you have tried 100% or almost 100% transparent lenses. I don't think there is any contact lens that's 100% clear. In my experience the clearest is probably Dailies Total 1, but it's still a faint/light blue. MyDay seems a bit more tinted. Biotrue has a slight green tint. The tints are there so you can tell if the lenses are inside out when you inspect the edge of the lens.